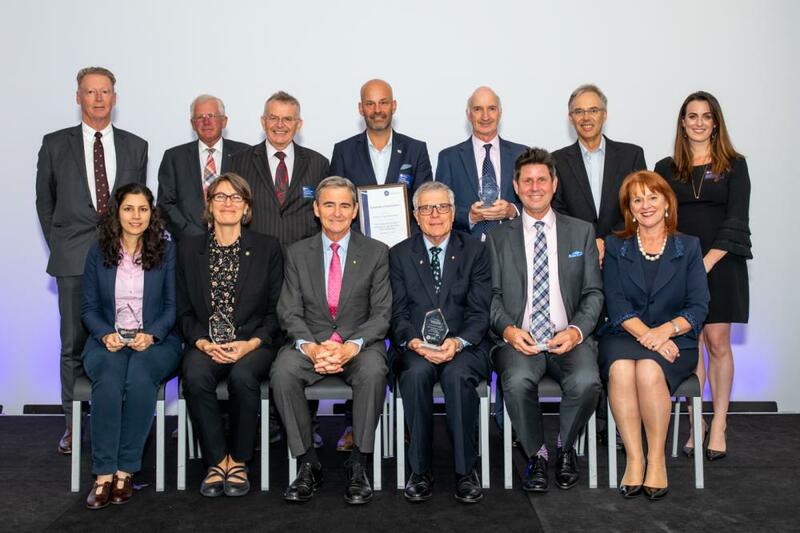 14 Club Melbourne Ambassadors were last night awarded for securing nine international conferences in 2018, at the Program’s annual awards ceremony, held at Melbourne Convention and Exhibition Centre (MCEC). These nine conferences are expected to generate an estimated $95 million in economic impact to the state of Victoria and deliver 63,700 delegate days. Since its inception in 2005, Club Melbourne Ambassadors have helped secure 144 events for Melbourne, contributing over $910 million in economic impact. Presenting at the awards ceremony, Melbourne Convention and Exhibition Trust Chairman, John Brumby AO acknowledged the significant contribution Ambassadors make through volunteering both their time and expertise to the Program. “At MCEC, we feel we have a responsibility to proactively develop and invest in new event ideas to attract new business to Melbourne – and our Ambassadors compliment this perfectly,” Mr Brumby said. Melbourne Convention Bureau (MCB) CEO Karen Bolinger said the MCB is proud to support and partner with MCEC, and the Victorian State Government on the Club Melbourne Ambassador Program. “It is thanks to our genuine collaborative effort that we benefit from the Club Melbourne Ambassadors great minds – by working together in a true partnership to showcase why Melbourne is the premier destination in the Asia Pacific for Association events,” Ms Bolinger said. Club Melbourne is owned and led by MCEC in collaboration with the Melbourne Convention Bureau and the Victorian State Government. Top row, left to right: MCEC Chief Executive Peter King, Mr John Bartlett, Associate Professor Greg Adamson, Professor Hans Westerbeek, Professor Philip Batterham, Professor Alistair Moffat, Senior Manager Club Melbourne Katie Tinetti. Bottom row, left to right: Pegah Maasoumi, Professor Sarah Maddison, The Hon. John Brumby AO, Emeritus Professor Phillip Nagley AM, Mr Stephen Durkin, MCB CEO Karen Bolinger.